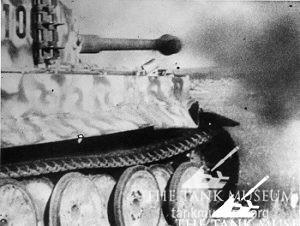 Was the Tiger really the King of the Battlefield in Word War Two? 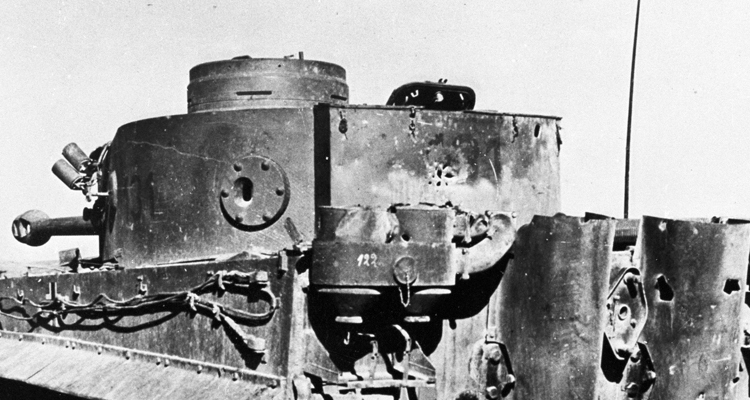 Few tanks inspire as much awe and fascination as The Tiger Tank, but does it warrant its reputation? 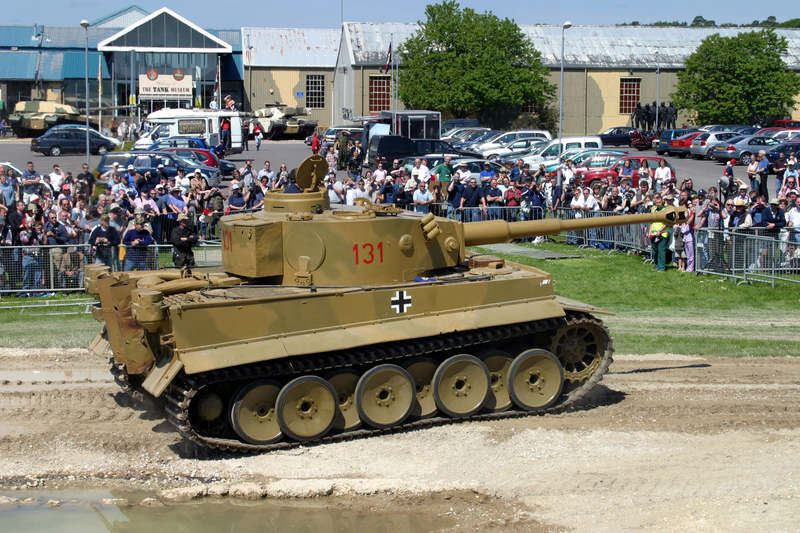 On display at The Tank Museum since the 1960’s, Tiger 131 towers above its Allied contemporaries in size, stature and reputation. It is a fighting machine that has gained almost mythical status, being the one tank that almost all Museum visitors recognise. 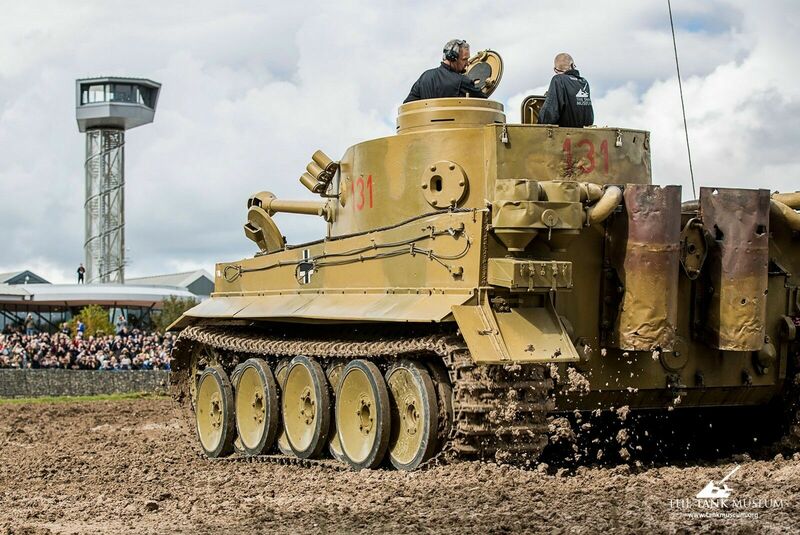 Today, only six Tiger tanks remain, and Tiger 131 is the only one of those that has been fully restored to running condition – with the help of a Herritage Lottery Fund grant of £50,000. 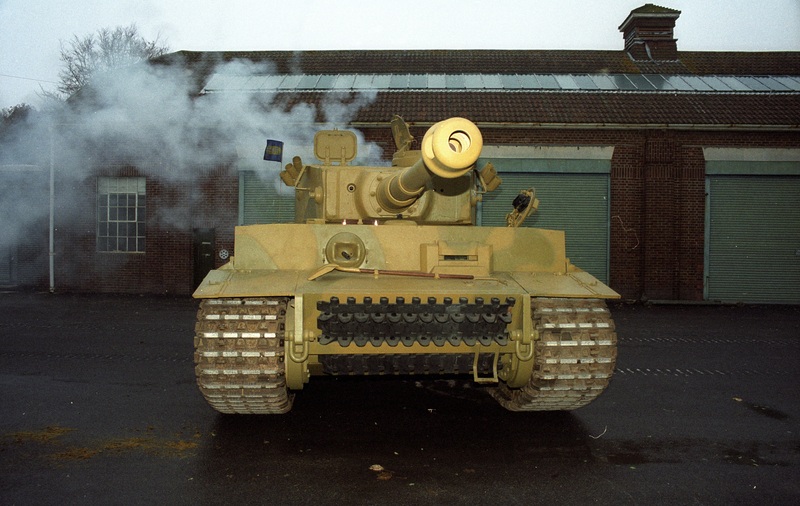 As a result the Tiger is arguably the Museum’s most famous exhibit; drawing visitors from the across the world on the occasions that she can be seen running in the Museum arena. But it could also be argued that the Museum houses other tanks that are more historically important. So what is it about The Tiger, amongst such an exceptional collection of vehicles, that remains so captivating and enduring? 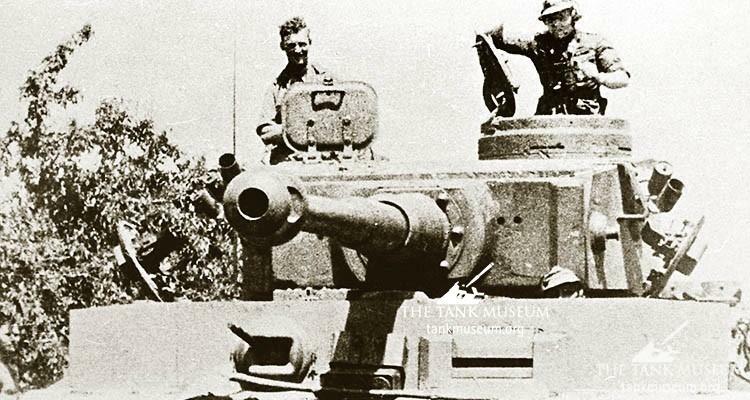 Tank Museum Historian David Fletcher believes it is because legend rather than hard facts have coloured our perception of the Tiger and the impact it had during World War Two. Such legends have arisen from war stories; some horrifically accurate, others laden with exaggeration and misidentification. Others arose from the contemporary German propaganda machine, who reinforced the reputation of the Tiger through the exploits of Tiger aces like Michael Wittman and Otto Carius. Since the war, Hollywood has played its part in securing the legend of the Tiger. Successive generations of war movies portray them as virtually indestructible killing machines that inspired nothing but terror in those who faced them. 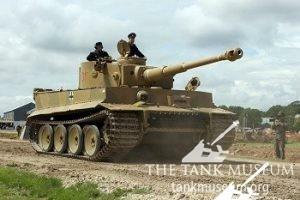 The Tiger was introduced in 1942 and saw action in North Africa, Italy, Russia and North West Europe. 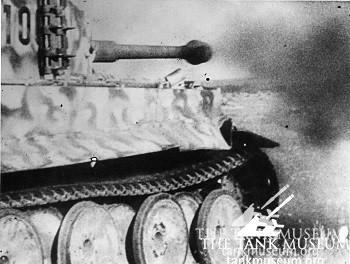 But it wasn’t until the middle of 1944 that the British and Americans were able to field a tank with a gun capable of penetrating the Tiger’s armour – and these were only available in small numbers until the last few months of the war. Even now, the Tiger looks modern amongst its contemporaries. Designed to intimidate, one could imagine the confidence the Tiger would have inspired in its crews. But whilst the armament and armour may well have been ahead of its time, it was more than the engineering standard of the day could cope with and this presented the crews and engineers with major logistical and mechanical issues. But if there is one fact above all others that can illustrate the true role the Tiger tank in World War Two, it is in the numbers produced. 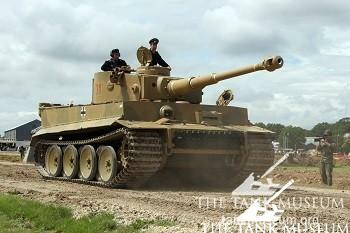 A total of 1,354 Tiger tanks were produced in the war, and these were distributed across four theatres of war. Compare this with the 55,000 odd Sherman tanks that were built by the US and the 70,000 odd T34’s produced by the USSR, and The Tiger tanks become a statistical insignificance. One can speculate what may have happened if Germany had managed to produce more Tiger tanks; but Germany went on to produce other heavy tanks and ultimately German industry could not keep up with the production lines in the USA and USSR. Whilst the Tiger Tank certainly represented a step change and great ambition in the design and specification of fighting vehicles, the reality of its impact on World War Two is all too frequently overstated. The land war was a war of quantity over quality, and quantity inevitably was the victor. 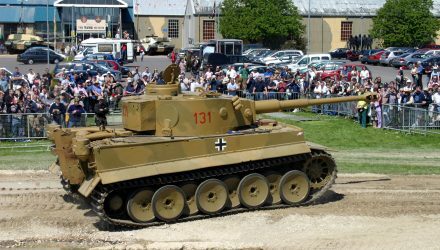 See Tiger 131 in action on Tiger Day on the 29 April and 16 September. Imitation is the sincerest form of flattery…. It’s therefore instuctive to observe which contemporary tanks most influenced the late war/early Cold War generation of tanks. In th case of Centurion, it was clearly the Panther and perhaps the T-34. If Cent was the best tank of its generation, it owed little to the Tiger, which remains much over-rated for all the reasons David so eloquently describes. Imitation is the sincerest form of flattery…. It’s therefore instuctive to study which contemporary tanks most influenced the designs of the late war/early Cold War tanks. In the case of Centurion, possibly the best tank of its generation, it was the Panther and to a lesser extent the T-34, not the Tiger. 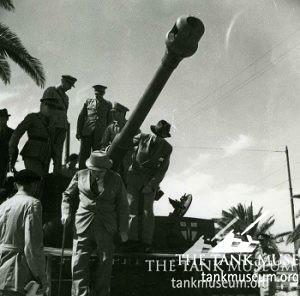 In both Comet, an outstanding design, and Centurion reliability and ease of production were written into the specifications and, after early failures, were regarded as highly reliable tanks. In design philosophy both were the antithesis of the Tiger. The Comet looks somewhat similar to a Tiger, with slab-sided armor on its turret just like the Tiger. Nothing radical about that.